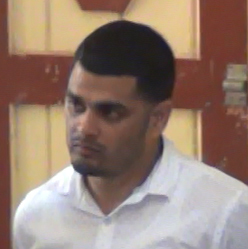 Businessman Saddiqi Rasul, who was charged last month with bank fraud, is still licensed to carry firearms, the Guyana Police Force said last week as it sought to clarify the acting Police Commission-er David Ramnarine’s intervention in his arrest for gun possession. The force, responding to reports published in the Kaieteur News and the Guyana Times newspapers last Friday, said Rasul is in possession of “several” firearms, which he is licensed to carry. “The Acting Commissioner of Police, Mr. David Ramnarine, DSM, wishes to categorically state that the two (2) firearms which Mr. Saddiqi Rasul and his Security were found in possession of, are licensed and in fact Mr. Rasul is still in possession of several firearms which he is fully and properly licensed to carry, despite the recent revocation of several licences,” a press release issued by the force on Friday said. According to the release, “there are persons who unfortunately are erroneously informed and mistakenly believe that all the licences were revoked”. Rasul, the owner of SSS Minerals Trading, was on April 3 charged with six counts of fraud. It was alleged that between March 21 and March 22, at Bartica, with intent to defraud, Rasul obtained from GBTI $96 million, $290 million, $89 million, $45 million, $298 million and $138 million by falsely pretending that he had cash in a Citizens Bank account to honour corresponding Citizens Bank cheques. He denied the charges and was granted his release on a total of $3M bail. Rasul is currently being investigated by the Special Organised Crime Unit (SOCU).